All of our products are backed by a Limited Lifetime Warranty. Our products are all built with heavy, premium metal construction. 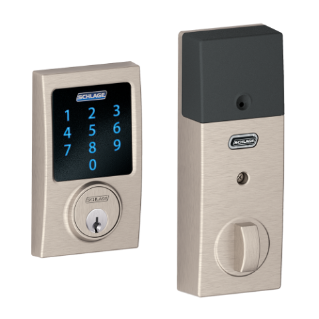 Using just a screwdriver, installs quickly and easily replaces most existing locks. 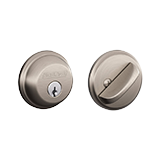 Our deadbolts contain anti-drill pins and plates to prevent your lock being drilled out. 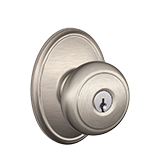 Our locks have an extra anti-pick shield inside to protect their inner latch. 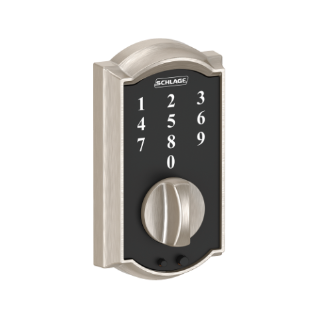 Having a one-piece exterior makes our deadbolt locks harder to tamper with or break. 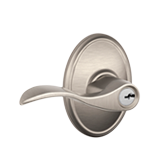 Our door knobs are backed by a Limited Lifetime Warranty. 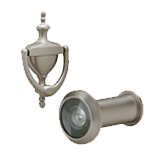 Choose from a wide range of door knob designs and finishes that are made to suit any home. Easy to Use and Install. All the Options You Need. 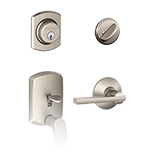 Schlage offers a range of interior and exterior door knobs with designs and functionalities to match your needs. Our knobs provide the finishing touch you need to highlight your home’s distinct style. 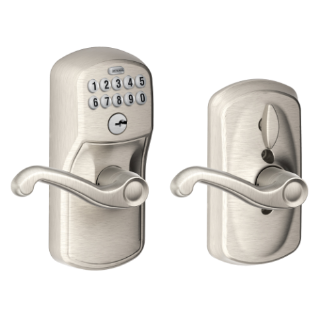 Resistant to pick and bump security attacks,certified as meeting ANSI Grade 2 standards. Patented throughbolt slides up and down so you don’t have to patch/redrill your door. Door viewers to give you a 190 degree perspective.